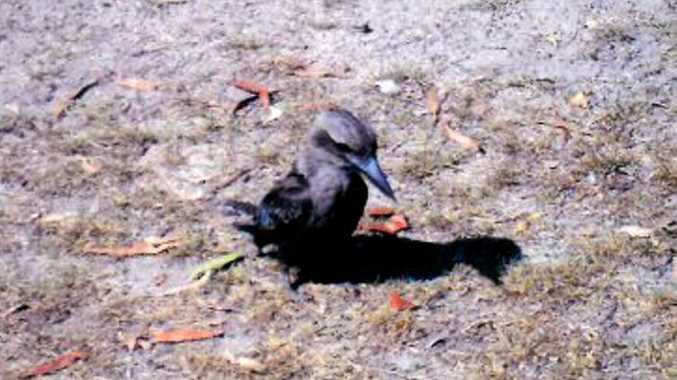 A GIN GIN couple has had a fascinating series of visits from a rare black kookaburra. The Stellans often feed the visiting kookaburras at their Gin Gin home, but something strange caught their eye recently, when they noticed one of the birds didn't look quite like the others. It is believed birds are occasionally hatched with black feathers due to a skin condition called hyper-melanism.